If you find yourself with a lump sum of money, then investing in a buy to let rental property is something that you may be considering. However, even if you have successfully bought your own property and negotiated a mortgage, there are plenty of other things you need to consider before entering the rental market. Whatever else you do, make sure that you consult suitably qualitfied professionals at all stages of your journey, to advise you on your individual circumstances. I am certainly not an expert in this field, but here are some tips I have picked up along the way, which may give you an idea as to whether this form is investment is worth considering. Why invest in buy to let? As an income investment for those with enough money to put down a substantial a big deposit, buy to let looks attractive, especially compared to low savings rates and stock market swings. Mortgage rates at record lows are helping buy to let investors make deals stack up. But beware low rates. Just recently, they have started rising again, albeit slowly, and you need to know your investment can stand that test. On the plus side, greater demand from tenants, rents that should rise with inflation and the long horizon for interest rate rises, mean many investors are still tempted by buy-to-let. Investing in buy-to-let involves committing tens of thousands of pounds to a property and typically taking out a mortgage. When house prices rise, this means it is possible to make big leveraged gains above your mortgage debt, but if they fall your deposit gets hit and the mortgage stays the same. Promising does not mean the most expensive or cheapest. Promising means a place where people would like to live, and this can be for a variety of reasons. It doesn’t even need to be where you would like to live – if you are targeting a particular type of tenant consider their needs and desires. One of the reasons you may be interested in this investment idea is because property is very accessible. These days, you only need to save up for an initial deposit, then get a mortgage to buy the home. So, it’s a great idea if you have some savings stashed away and want to earn some regular income from rent. However, before you do any of this, you need to know that you require a different type of mortgage. When you buy a home with the sole purpose of renting it – and it’s not a place you live permanently – then you have to get a buy-to-let mortgage. This is typically a more expensive mortgage with higher deposits and interest rates, but you will quickly recover this – and more – when the rent starts coming in. The fees and interest rates on buy-to-let mortgages are usually higher. Most BTL mortgages are interest-only. This means you don’t pay anything towards the capital each month, but at the end of the mortgage term, you repay the capital in full. Once you have the mortgage rate and likely rent sorted then you must be clinical in deciding whether your investment will work out? Stamp Duty Land Tax (SDLT) for buy to let properties is an extra 3% on top of the current SDLT rate bands for properties above £40,000. Find out more in Everything you need to know about Stamp Duty. Also, rental income exceeding your mortgage interest payments and certain allowable expenses are liable to Income Tax. If you have ever rented a property yourself, you will know that tenants have certain rights, and therefore you must understand that as a landlord you have obligations to your tenants. Being a landlord isn’t as hands-off as you may think. A lot of people get a buy-to-let property and then just assume they can make all the rules and do whatever they like. In reality, there are certain laws and regulations that every landlord must abide by. One of the most important of these is that it’s your duty to provide a safe place for someone to live. So, if the house has safety hazards, it’s up to you to fix them, not your tenants. 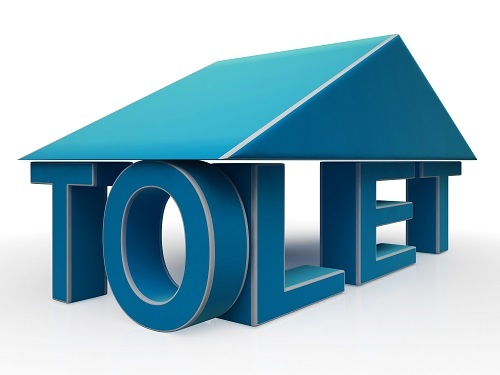 It’s a pretty good idea to talk to some landlord solicitors before embarking on buy to let for the first time. They can make you aware of laws that you have to abide by and things that you might be rquired to spend money on further down the line. Don’t assume your property will always have tenants. There will almost certainly be ‘voids’ when the property is unoccupied or rent isn’t paid and you’ll need to have a financial ‘cushion’ to meet your mortgage payments. When you do have rent coming in, use some of it to top up your savings account. You might also need savings for major repair bills. For example, the boiler might break down, or there might be a blocked drain. It is certainly possible to generate a substantial return from the right buy to let investment. However, there are many factors that need to be taken into consideration when looking at this type of investment, and there is a real risk of losing money, so make sure that you have considered all the possible pitfalls before you take the plunge.